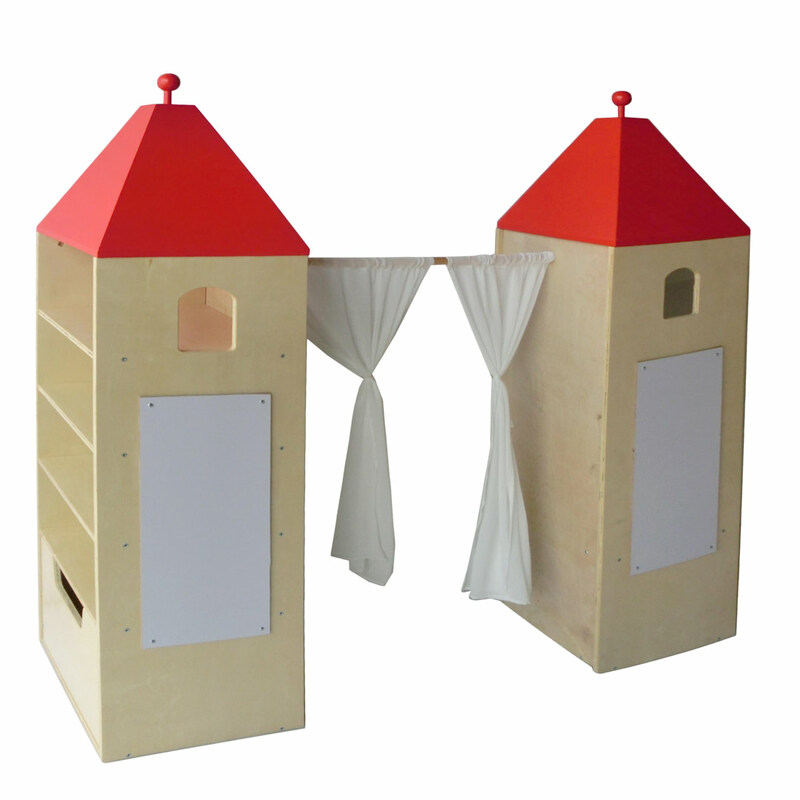 The beautiful birch ply Twin Tower Play Theatre is a dream come true for all little actors and directors! The Twin Tower Play Theatre is a well crafted miniature theatre consisting of two towers with red roofs, connected by “stage” curtains suspended from a vertical pole. The towers each have hanging space for the costumes and a drawer at the bottom for neat storage. Your child’s imagination can run wild while learning through play with this awesome playroom addition. Complete the make-believe magic by adding the Play Tower.